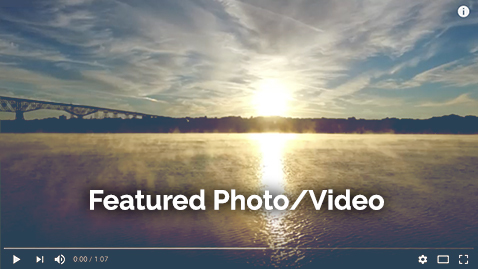 A stunning panorama unfolds high above the Hudson River at the center of Walkway Over the Hudson State Historic Park, with opportunities to explore in every direction. 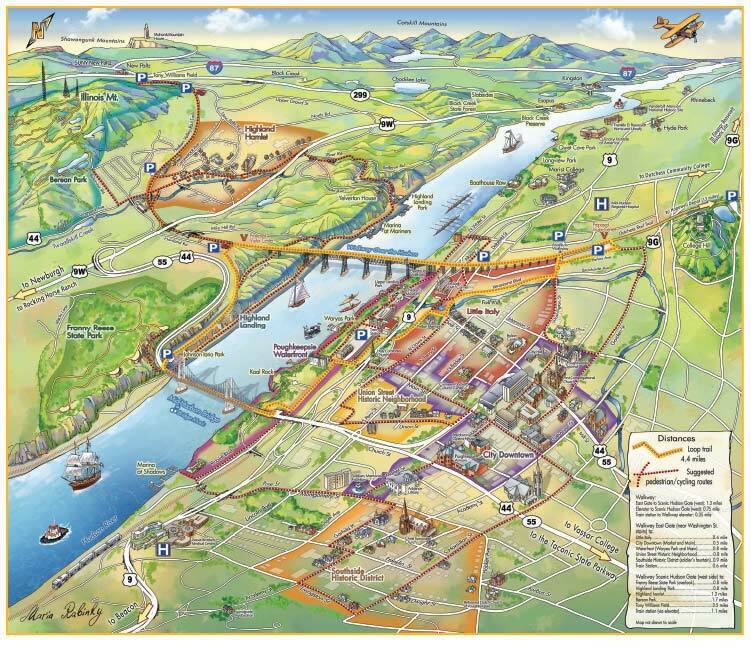 Enlarge the colorful drawn Greater Walkway Experience vicinity map featured on our printed brochure to view each Discovery Zone and its features. The legend provides approximate distances to each zone from the Walkway's western and eastern gates. The Greater Walkway Experience's nine Discovery Zones each beg for your exploration, with helpful signage as you traverse the region by foot or bike. 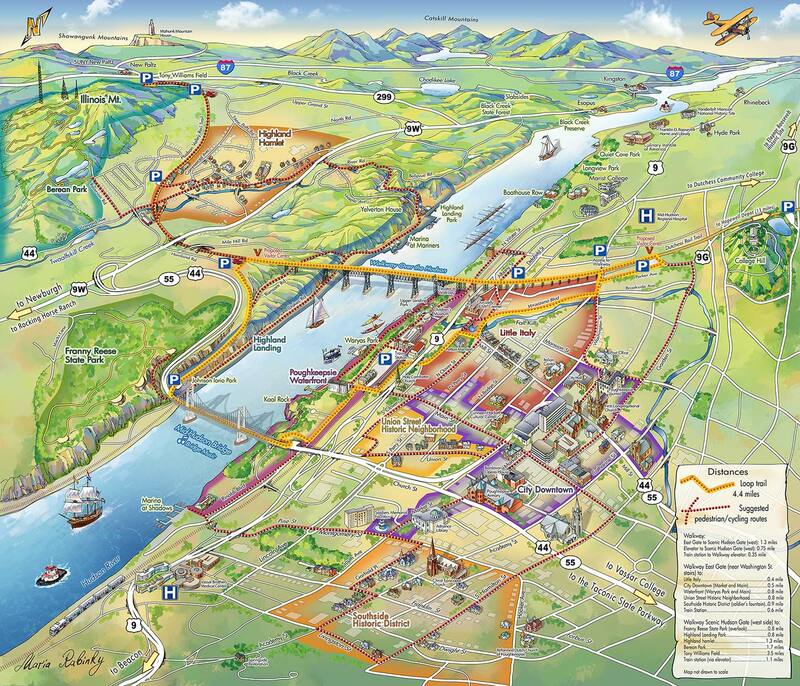 Both urban and rural, the Discovery Zones offer curated choices for exploration on both sides of the river. Each Zone is a manageable size for a short visit, and covers a variety of options: wild parks, waterfronts, historic urban districts and a small hamlet. Click on the Discovery Zone icons below to learn more! 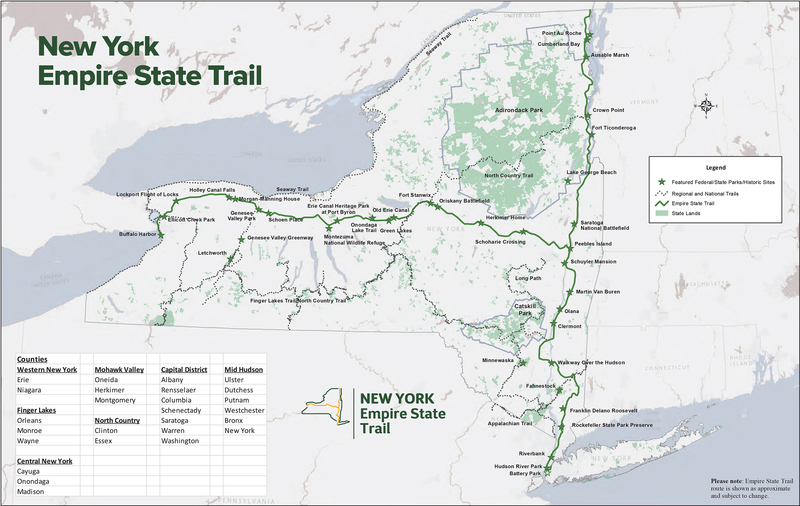 The Greater Walkway Experience and digital presence is made possible by grants from Empire State Development and its I LOVE NEW YORK program under Governor Andrew Cuomo's Regional Economic Development Council Initiative. Additional support provided by Ulster County IDA, AT&T, Hudson Valley Greenway, partners and sponsors. Alexander Hamilton and John Jay advocated for the ratification of the US Constitution and Matthew Vassar established a brewery. These beautiful and historic woodlands have been preserved thanks to Scenic Hudson and dedicated advocates. Poughkeepsie's oldest immigrant neighborhood, preserved and listed on the National Register of Historic Places. Early settlers established this quaint hamlet surrounded by farmland with not-so-distant views of the Hudson. Part of four National Historic Districts, Southside reflects Poughkeepsie's inventors, industrialists and civic leaders. Little Italy began as a series of vibrant immigrant enclaves -- first Irish, then German, Eastern European and Italian. Homesteaders migrating from New England to the Northwest Territory named Illinois Mountain after their intended destination. Long before trains and cars, the Hudson River was a super-highway for Native American traders and European settlers. During the Revolutionary War, British warships targeted colonialists on their way north toward Saratoga. Crossing two bridges, this 4.4 mile loop connects river views, parks and cultural and historic points of interest.